Click here to see similar version. 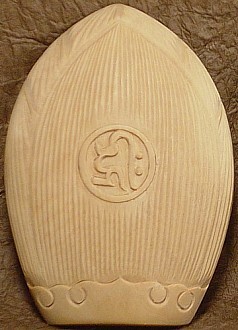 Beautifully and intricately carved amulet of the 1,000-Armed Kannon, the protector of people born in the Zodiac Year of the Rat. 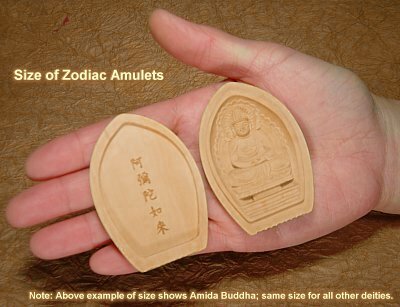 This amulet is small enough to fit in your shirt pocket. 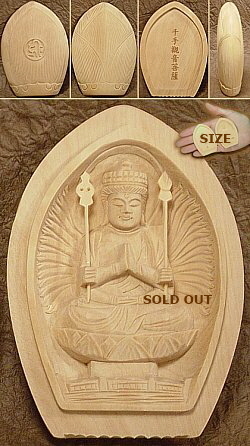 Kannon (1000-armed version; Jp. 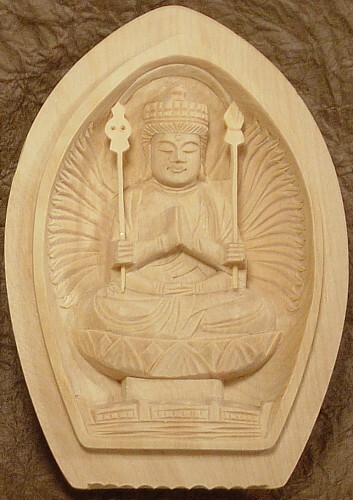 = Senju Kannon) sitting atop a lotus petal; central hands in Mudra of Veneration (Prayer, Aspiration); right arm holding pilgrim's staff and left grasping Vajra club; latter represents the indestructibility of Buddhist law and its power to vanquish evil. See Kannon Top Page for details. 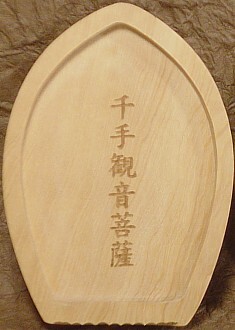 Japanese name on inner cover. Circular Sanskrit seed syllable on outer cover. 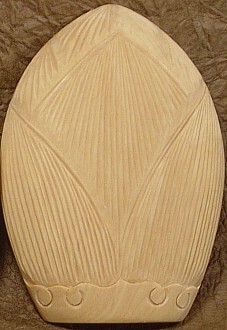 Outer caps are both etched with Lotus Design.